How we teach what we teach matters. Teaching and Learning Strategies are centered on student engagement. What habits of mind do students need to be successful as learners that will lead them to become professionals in their discipline and as generally educated engaged citizens in their community. The OpenLab is a state-of-the-art digital platform designed to support teaching and learning at City Tech, enable connection and collaboration, and enhance the intellectual and social life of our community. 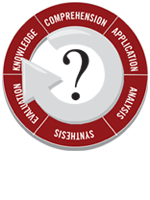 Blooms Taxonomy is a multi-tiered model of classifying thinking, first presented in 1956. In 2001, Lorin Anderson presented a Revised Bloom’s Taxonomy (RBT). How to Effectively use site visits as part of teaching your course. One definition identifies integration of knowledge and the growing importance of relational learning. Another refers to a field of study that crosses traditional boundaries between academic disciplines or schools of thought, as new needs and professions have emerged. The term first appeared in the late 20th century as academics and professionals questioned assumptions about disciplines and diversity, creativity and productivity, access and sustainability.Click here for more information. Listening is a skill that can be learned. Faculty and students benefit from improved listening skill building prompts and techniques. Through Emerging and Honors Scholars, faculty mentors work with students who share interest in topics that have meaning to both. The PLTL Workshop model engages teams of six to eight students in learning sciences, mathematics and other undergraduate disciplines guided by a peer leader. The PLTL Workshop model: › provides an active learning experience for students › creates a leadership role for undergraduates › engages faculty in a creative new dimension of instruction Students who have done well in the course previously become guides and mentors, Workshop Peer Leaders. For more information, click here. WAC promotes the practice of integrating writing as a learning tool into every discipline. As one of the results of CUNY’s Coordinated Undergraduate Education (CUE) at City Tech, faculty devised a way to create an assignment using a common reading, performance or other artistic work, which would engage both faculty and students in a general education related learning objective.